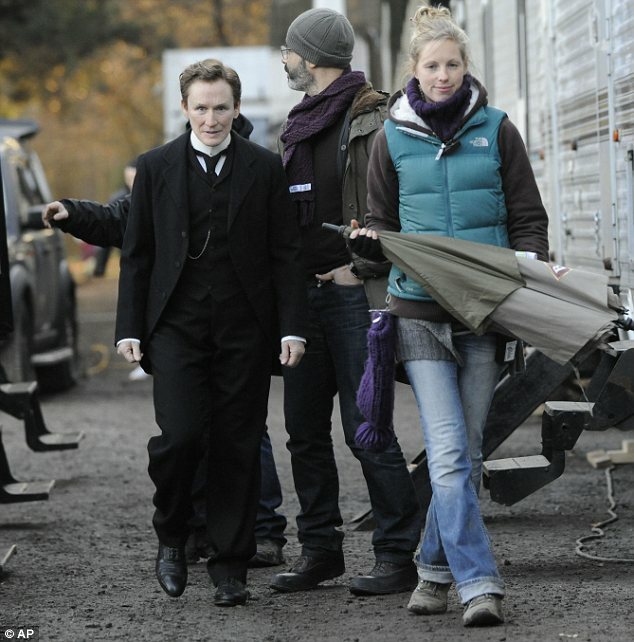 Filmed primarily at Cabenteely House Dublin in late December and January of 2011, ‘Albert Nobbs’ will get its first airing at the Toronto International Film Festival (TIFF) in September. Founded in 1976, the TIFF is now one of the most prestigious film festivals in the world, between 300-400 films are screened at approximately 37 screens around Toronto with average attendance at the festival breaking 250,000 for the past few years. Albert Nobbs is based on the screenplay is based on a short story by Irish novelist George Moore. Glenn Close won an Obie Award in 1983 playing the same role in Simone Benmussa’s Off-Broadway interpretation of “The Singular life of Albert Nobbs” and has spent the many years trying to bring it to the big screen. A period drama about the lives of staff at one of Dublin’s most luxurious hotel, nineteenth century Ireland was not a place for a woman to be independent and single. She deceived everyone by pretending to be a man, working as a shy butler and going by the name of Albert for a number of years. The screen play was written by Glenn Close and Irish novelist and screenwriter John Banville (The Sea) , directed by Rodrigo Garcia (In Treatment. Glen Close plays the lead role along with Janet McTeer (Into the Storm), Mia Wasikowska (Alice in Wonderland), Aaron Johnson (Nowhere Boy), Brendan Gleeson (The Guard), Brenda Fricker (My Left Foot) and Jonathan Rhys-Meyers (The Tudors) Both Amanda Seyfield and Orlando Bloom were originally cast but had to drop out due to scheduling conflicts and were replaced by Mia Wasikowska and Aron Johnson. The film has secured an US release with Liddell Entertainment and Roadside Attractions and has alreadybeen sold to other international territories including India (PictureWorks), South Africa (Nu Metro), Russia (Film Depot) and France (Chrysalis). There are no Irish release dates yet but I’m looking forward to seeing this one! ‹ Lucan’s population increases by 23.4% in the past 5 years.